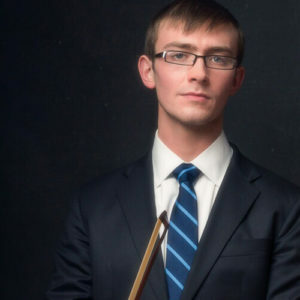 Daniel Orsen serves as a substitute violist with the Philadelphia Orchestra and Pittsburgh Symphony Orchestra. As a chamber musician, he has performed alongside Itzhak Perlman, Kim Kashkashian, Donald Weilerstein, Paul Katz, Frans Helmerson, Merry Peckham, and the Jasper String Quartet. His flute-viola-harp trio was recently selected as a 2018 New England Conservatory Honors Ensemble. Mr. Orsen has won first prizes at the ASTA National Solo Competition and Pittsburgh Tuesday Musical Club Scholarship, and he has appeared on NPR’s “From the Top.” He has also performed and studied at Credo, the Quartet Program, the Perlman Music Program, Prussia Cove, and Ravinia’s Steans Music Institute. Mr. Orsen completed his Master of Music degree in 2018 at the New England Conservatory where he studied with Kim Kashkashian, and his Bachelor of Music degree at Oberlin studying with Peter Slowik in 2016.